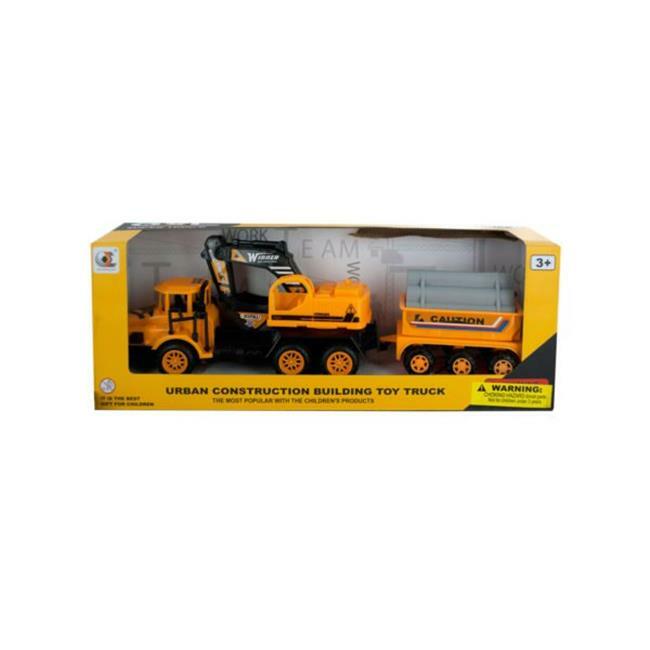 Great for hours of pretend play, this Friction Powered Excavator Trailer Truck features a realistic plastic excavator truck with a removable trailer carrying a load of cement pole pieces. Truck has friction power when you push it forward. For ages 3 and up.